We are excited to release your SPRING wine club offering is four bottles: 2015 Pinot Noir, Santa Lucia Highlands, 2015 Petit Verdot, Yountville, Napa Valley and 2015 Cabernet Sauvignon, Stags Leap District, Napa Valley. Enjoy complimentary shipping and a 15% on your wine club offering, and any additional wines you would like to add to your club shipment. Remember this is your last shipment until Harvest 2019. 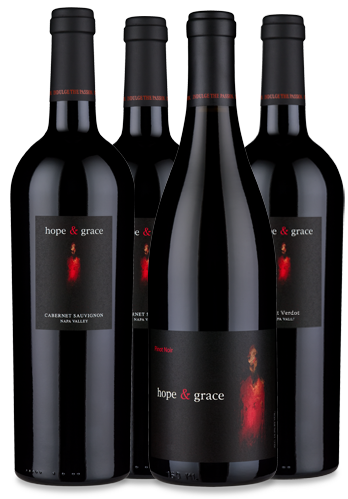 Winemaker Notes: Deep aromas of boysenberry, cherry, and red currants … hints of cocoa, peppery spice, and toasty oak. Lush cherry fruit and currants flood the palate … Finishing balanced and structured, with silky tannins. Winemaker Notes: Opulent aromas of blackberries and sweet cherries with notes of toffee, anise, and toasty Oak. Rich and dense red fruit flavors rush the palate, Rich and full-bodied … finishing with soft and lush tannins.